“…landscape architect and film-maker, Gavin Wilson, was researching the artistic heritage of Hill End and the region for his 1995 exhibition The Artists of Hill End: Art, Life and Landscape for the Art Gallery of NSW. Aware of Bellette’s bequest, and withthe support of Bathurst Regional Art Gallery, Evans Shire Council and the National Parks and Wildlife Service, Wilson invited a third wave of artists to respond to Hill End. 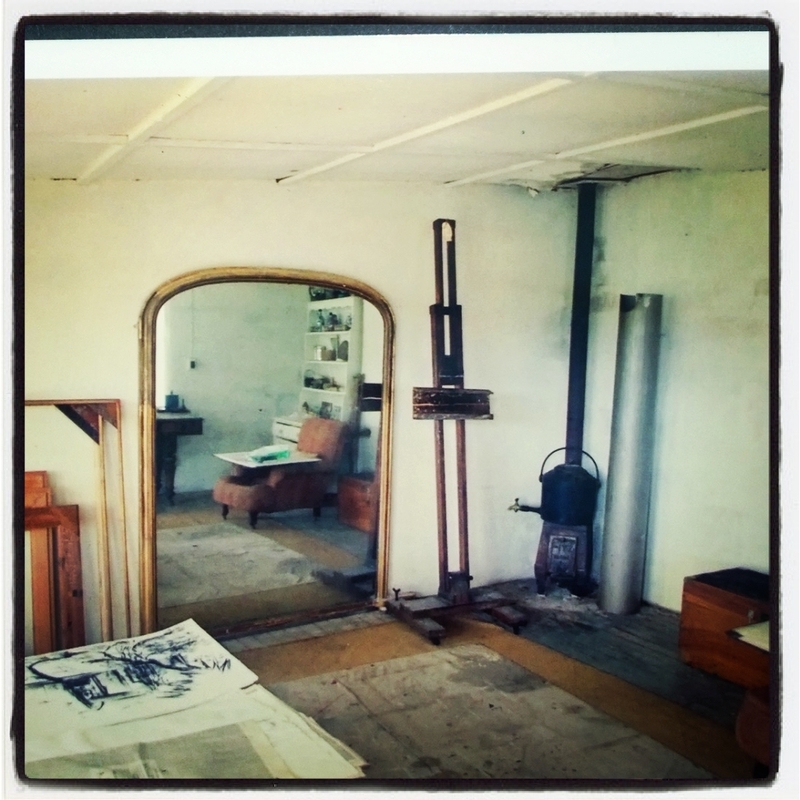 Contemporary artists including Richard Goodwin, Anton James, Tom Spence, Wendy Sharpe, Peter Wright, Geoff Weary, Peter Kingston, Mandy Barrett, Emma Walker and James Rogers participated in a series of pilot residencies at Haefligers Cottage in 1994 and 1995. 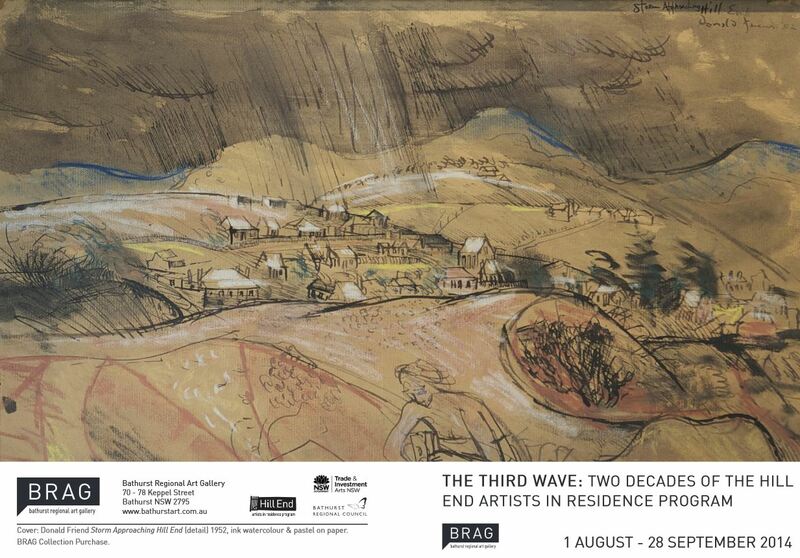 Works from these residencies were exhibited alongside historic works in The Artists of Hill End exhibition at the Art Gallery of NSW. 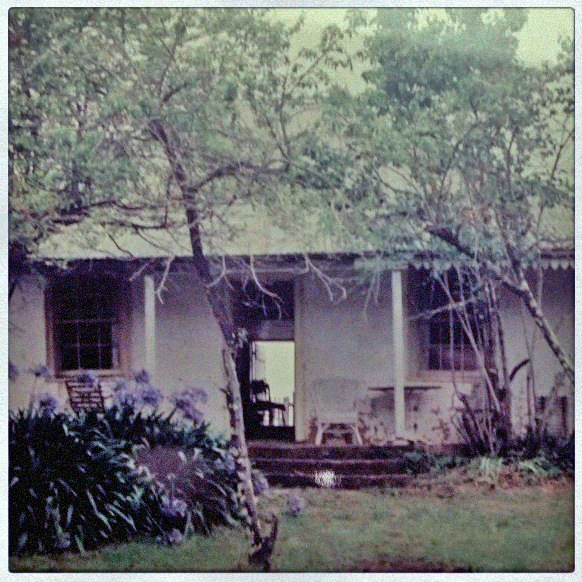 “The historic Haefliger Cottage at Hill End and the spectacular surrounding scenery are prividing an ideal location for artist in residency, Geoffrey Weary, who is finding it a welcome respite from Sydney. Mr Weary, who describes himself as a video artists also working with more ‘traditional’ mediums, is the latest participant….Hill End artist in resident, Geoffrey Weary and Tatiana Pentes who are, living and working with the spirit of Paul Haefliger and Jean Bellette in the famous Haefligger Cottage…The house has all their things still intact, the cottage is pretty much as they left it…” in Inspiration For Visiting Artist: Hill End Artist Residency: Geoffrey Weary: Bathurst Regional Art Gallery Advocate, 24 January 1995.